Long before India detonated a nuclear device in May 1974, the U.S. Intelligence Community was monitoring and analyzing Indian civilian and military nuclear energy activities as we reported earlier. Unclassified Top Secret documents show that as early as 1958 the CIA was exploring the possibility that India might choose to develop nuclear weapons. The reports focus on a wide range of nuclear related matters – nuclear policy (including policy concerning weapons development), reactor construction and operations, foreign assistance, the tests themselves, and the domestic and international impact of the tests. Documents from 1974-1975 and 1998 provide assessments of the reason why the U.S. Intelligence Community failed to provide warning of the 1974 and 1998 tests – assessments which are strikingly similar. They also include recommendations to address the deficiencies in performance that the assessments identified. 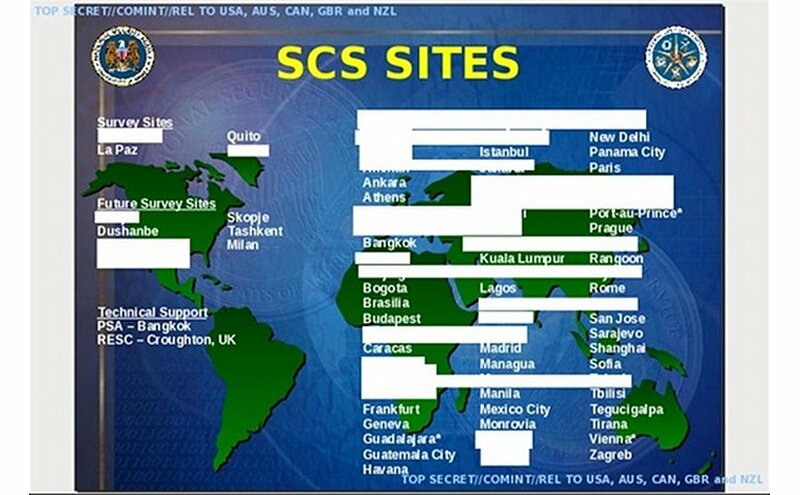 New documents from the Snowden Archive – The SIDtoday Files recently released by The Intercept give a glimpse into one such NSA interception program. SIDtoday is the internal newsletter for the NSA’s most important division, the Signals Intelligence Directorate. After editorial review, The Intercept is releasing nine years’ worth of newsletters in batches, starting with 2003. The agency’s spies explain a surprising amount about what they were doing, how they were doing it, and why. A series of nuclear weapons tests conducted by India in the spring of 1998 took the intelligence community by surprise, prompting an internal investigation into why these tests had not been foreseen; a subsequent report was harshly critical of the U.S. intelligence community. A similar lapse in data gathering would not happen again in 2005. In October 2004, one signals intelligence program, “RAINFALL,” “successfully geolocated signals of a suspected Indian nuclear weapons storage facility.” In response, several other parts of the NSA collaborated to confirm that the signals were related to Indian nuclear weapons, and to begin a new collection effort that revealed “spectacular” amounts of intelligence on India’s nuclear weapons capabilities. An Australian NSA site, RAINFALL, isolated a signal it suspected was associated with an Indian nuclear facility, according to SIDtoday. Collaboration between RAINFALL and two NSA stations in Thailand (INDRA and LEMONWOOD) confirmed the source of the signals and allowed for the interception of information about several new Indian missile initiatives. Although these missile systems did not come to public attention for several more years (the Sagarika submarine-launched ballistic missile was first tested in 2008), the NSA’s access to these signals gave them foreknowledge of their Third Party SIGINT partner’s actions. Below is the Top Secret SIDtoday report New Collection Access Yields ‘Spectacular’ Intel. One recent SIGINT success against India’s Nuclear Weapons Development Program exemplifies the Agency’s new environment of cross-program collaboration in satisfying intelligence needs. This is a great example of SIGINT programs working together to achieve a common goal. In October 2004, RAINFALL successfully geolocated signals of a suspected Indian nuclear weapons storage facility. This prompted a Foreign Satellite (FORNSAT) collection facility, LEMONWOOD, and the Unidentified Signal and Protocol Analysis Branch (S31124) at NSA to collaborate in isolating these signals and, through signals development, confirm their content as related to Indian nuclear weapons. This breakthrough highlighted the need to deploy additional demodulating equipment to LEMONWOOD in order to expand a modest collection effort undertaken since the signal was discovered in October. Immediately after fielding this equipment, collection of this new network began to provide what is being called “spectacular” activity. Exploitation of that collection revealed India’s first-ever SAGARIKA Submarine-Launched Ballistic Missile (SLBM) launch; DHANUSH sea-launched Short Range Ballistic Missile (SRBM); and pilotless target aircraft. Collection from this new access has also provided significant intelligence on India’s possession of two different types of airdropped bombs, one believed to be a very large Fuel Air Explosive (FAE) bomb of an unidentified type. The other, not yet confirmed by the analytic community, may be a new generation of airdropped nuclear weapons. LEMONWOOD has sustained access to satellite communication links : (information blacked out). The FORNSAT Division is working with the site and the Trans-Asia Product Line (S2A4) to expand collection against this high-priority network. While the collection that resulted from interagency collaboration has been categorized as spectacular, what is most impressive is the growing trend of collaboration seen across the entire Agency. What were once technological challenges are now collaboration opportunities that offer the promise of a seamless, interoperable and responsive National Security Agency. It should also be remembered that the National Security Agency (NSA) of the United States installed a super spy software named APPARITION in New Delhi, as we reported earlier. The APPARITION program pinpoints the locations of people accessing the Internet across sensitive locations. Subsequent actionable intelligence information may lead to sending lethal Reaper drones to eliminate the target. The Top Secret reports speak of an SCS surveillance unit being set up in the embassy campus in New Delhi that operated under the codename DAISY. However, the Indian Government has not responded or is yet to make a statement regarding this Embassy Espionage. As can be seen from the classified intelligence documents itself that the US Intelligence community was highly concerned about its failure to detect India’s Nuclear tests in advance. The Community after identifying and assessing the deficiencies in performance that led to this failure made recommendations to determine what steps should be taken to reduce the chances of a similar failure in the future. What were those steps taken by the US Intelligence community to track India’s Nuclear program? The above case is just one such example. Are the ongoing killings of India’s scientists around the country since decades a continuation of such policies? Was the crash of Air India Flight 101 near Mont Blanc in which Homi Bhabha was also travelling a direct result of such steps? Is the Indian Intelligence community aware about those steps? If so, have they prepared a strategy and taken appropriate steps to counter such spying activities and covert operations targeting India’s Nuclear program? If not, a good place to start would be to open a fresh investigation into the assassination of the father of our Nuclear program – Homi Bhabha.